Russian network NTV marked the centenary of the October Revolution with an adaptation of Alexey Tolstoy’s epic saga The Road to Calvary. DQ hears more about the sweeping drama from star Yulia Snigir and network producer Timur Weinstein. The centenary of Russia’s October Revolution last year was marked on television with an epic period drama based on a novel by Alexey Tolstoy. The Road to Calvary, which aired on NTV, captures the riotous crowds and the horrors of war, set against the stunning landscapes and architecture around St Petersburg, in a story that centres on the relationship between two sisters set between 1914 and 1920. Dasha (Anna Chipovskaya) is stern and idealistic, while married Katya (Yulia Snigir) is careless and unhappy in her marriage. Both women fall in love with poet Alexey Bessonov, but at the outbreak of the First World War, a series of events separate the sisters and tear their family apart as they come to stand on opposing sides of the barricades. “This is a story about how war kills people in different ways, irrespective of what side you’re fighting on,” Snigir tells DQ. “It destroys lives either way. Katya is lost in life and I think every person can say that at some point in time they made the wrong decision, they took the wrong road. Katya feels that her life is not her life, she’s living a foreign life and that’s what is destroying her. She can’t really understand her own nature. The project was two years in the making, as the broadcaster sought to mark the centenary of the October Revolution. “The Road to Calvary is something that has been known for a long time – we all had to read it in school – and it had already been adapted for the screen twice during the Soviet period,” says Timur Weinstein, general producer at NTV. Konstantin Khudyakov directed the series, which was adapted by Elena Raiskaya from Sisters, the first novel in Tolstoy’s The Road to Calvary trilogy. In particular, it was the chance to star in a series based on a classic novel that appealed to Snigir, who has also appeared on the big screen opposite Bruce Willis in A Good Day to Die Hard. “It’s not that often you’re offered a role from a script that’s based on classic literature,” she says. “A lot of Russian culture is based on Russian literature that’s known throughout the world, particularly both Tolstoys, Alexey and Leo [War & Peace].” The authors share the same surname and are also distant relatives. 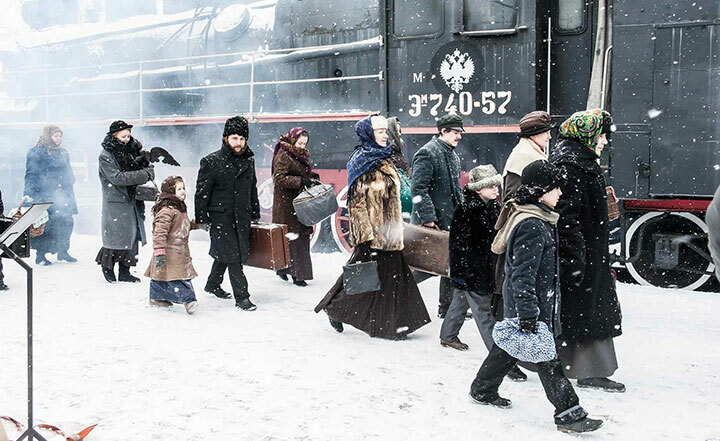 The source material, with the weight of its place in Russian history, also proved to be the biggest challenge for Snigir, who faced filming during the freezing winter and early spring. The inclement weather didn’t hold back the scale or ambition of the production, however. 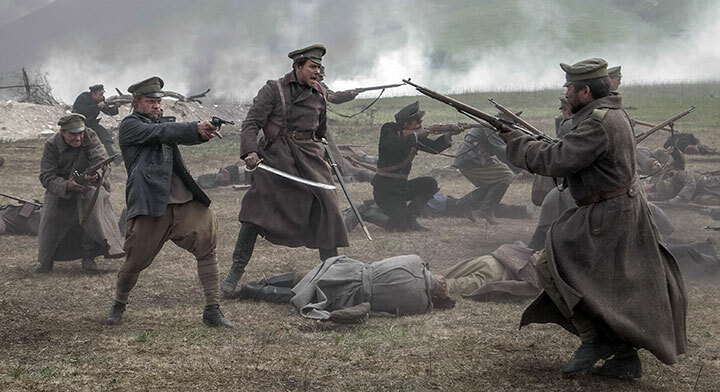 To recreate the battle scenes set during the Russian Civil War, the crew dug trenches and installed 300 metres of fencing. 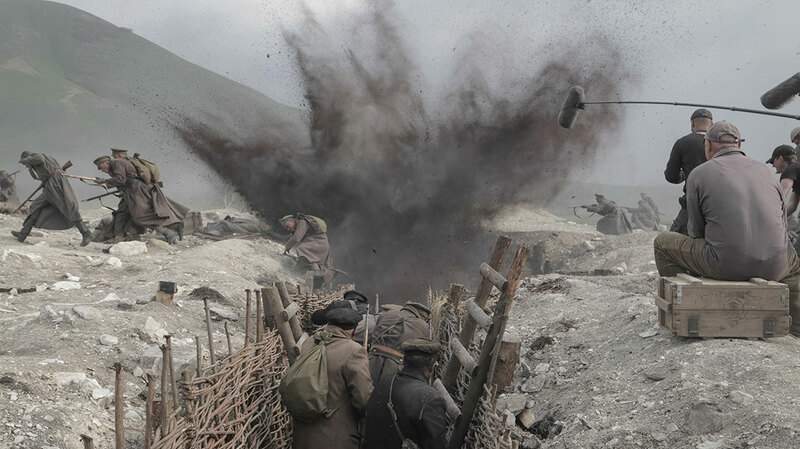 Drones were used to capture the scale of the battles, which often featured upwards of 500 actors. With those elements in place, Weinstein believes the series is also well placed to break out on to the international market. Dori Media is handling global sales. “Well, we think it’s a universal story – it’s about love, life and the wars,” he adds. “We’ve had a lot of adaptations being made in Russia [such as remakes of Breaking Bad and The Bridge]. But [original] Russian formats have long been deserving of international attention and international viewers.